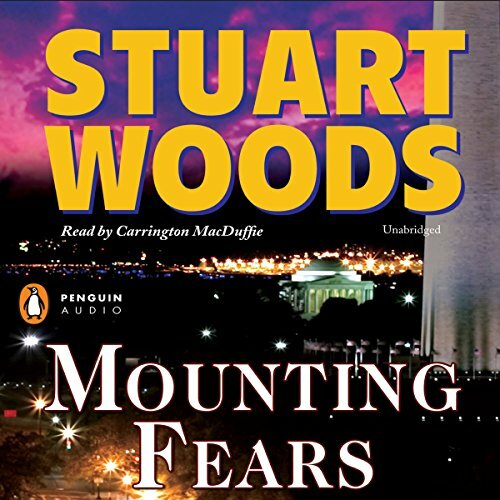 New York Times best-selling author Stuart Woods returns with another absorbing thriller. President Will Lee is having a rough week. His vice president just died during surgery. Confirmation hearings for the new vice president are under way, but the squeaky-clean governor whom Will has nominated may have a few previously unnoticed skeletons in his closet. And Teddy Fay, the rogue CIA agent last seen in Shoot Him If He Runs, is plotting his revenge on CIA director Kate Rule Lee - the president's wife. Plus there are some loose nukes in Pakistan that might just trigger World War III if Will's diplomatic efforts fall short. 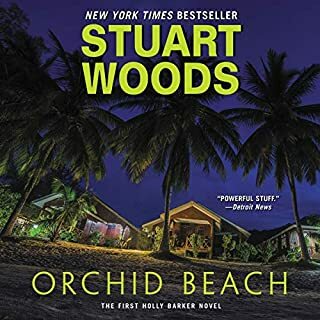 It's up to President Lee - with some help from Holly Barker, Lance Cabot, and a few other Stuart Woods series regulars - to save the world, and the upcoming election. Second and last time I will select a book with this narrator. 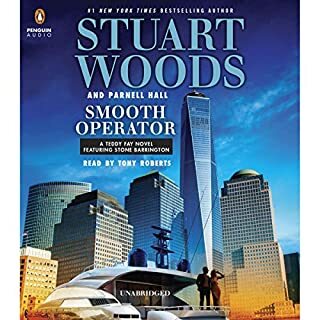 Woods poorest story. No real plot and no finish. 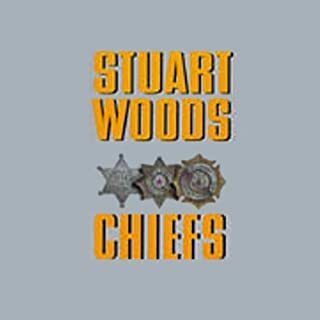 Stuart owes us one as I have enjoy many of his other books. I have just finished listening to all the Stone Barrington books on audible. Most of them are very entertaining and have good plots. This one is disjointed especially at the end and has a sudden and disappointing end. Skip this one. Also Stone Barrington is not even in this book although Holly and Lance have peripheral parts. Come on Stuart...you can do much better! As a long time fan of the Lee family this was definitely my least favorite book. 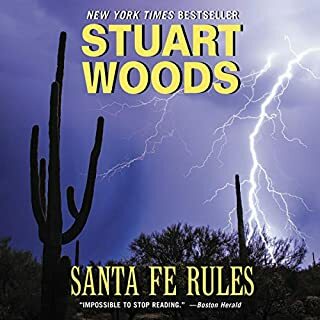 It felt like a book Stuart Woods wrote just to finish up a contract. The climax is in the ending and by then you don't even care. The narrator was also disappointing, her male voices and southern accent just grated on my nerves. I only finished because I can't stand to just stop reading any book. At the start a child came on and said Children's Audio or something like that and I sure didn't think this was a kids reading material. I also thought when it was over I missed downloading the second part and had to check and make sure there wasn't more to it! I agrree with everyone here. The narrator is HORRIBLE. I cannot understand why any company would choose her to be a narrator and why Stuart Woods would allow it. This is also arguably his lowest quality book in quite a while. Minimal story, shallow character development. Even though he draws upon a slew of characters from prior novels the dialogue and interactions are very wooden. Mostly though, it is need of a good narrator. Terrible narration; Book suddenly ends with no ending. 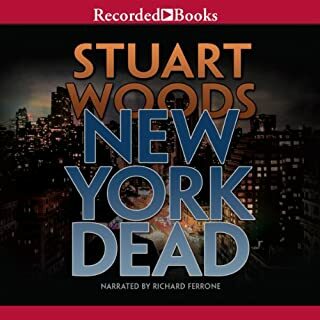 If you like Stuart Woods novels, skip this one. Audible should provide a credit. Worst of the author's efforts with no ending. He just gave up. All of this compounded by a terrible narration. 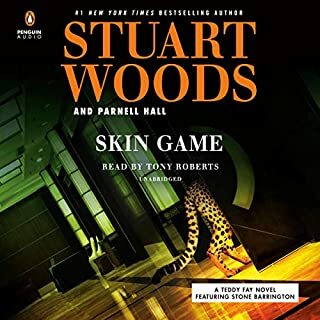 Audible should provide a credit for this total dissappointment. The narrator’s attempt at accents was poor and distracting. As such she made a good story difficult to enjoy.